Despite a surprising loss to St. Mary's in the West Coast Conference Championship, Gonzaga earned the No. 1 seed in the West Region, playing their first action in Salt Lake City. That recent loss showcased some of the weaknesses on this Gonzaga team, such as three-point shooting and rebounding, but don't count out this Bulldogs team just yet. This team did win 30 games and go undefeated in the regular season of the WCC for a reason; they're deep and talented with veteran leadership at its core. 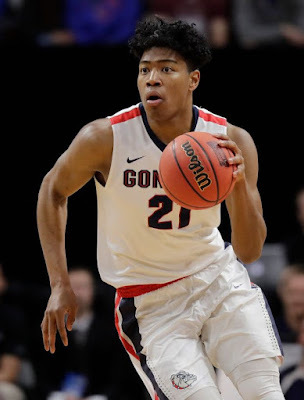 Forwards Rui Hachimura and Brandon Clarke are an extremely effective 1-2 punch in the frontcourt. Hachimura is just the fifth Japanese-born player to compete in Division I basketball, and he has displayed a wide and versatile skill set. He can get to the rim, hit in the mid range and even stretch the floor with from three, hitting 47 percent from deep even though he doesn't shoot a ton of them. Yet, the most important component to any deep NCAA Tournament run is going to have to center around the backcourt. Veteran point guard Josh Perkins and shooting guard Zach Norvell Jr. will have to play well in this difficult region. Both have proven they can hit big shots, but have struggled in all of Gonzaga's losses, and can be streaky. Yet, if they are on their games, this offense has enough balance and versatility, they're going to be incredibly hard to stop. We've seen just how good the Bulldogs can be when they beat a full-strength Duke squad in Maui. They've also proven they can go deep with a similar core, when they played for a National Title in 2017. Even in such a tough region, I actually like 'Zaga to come out this region alive. Ja Morant has quickly become a big name in the world of college hoops, attracting rave reviews from opponents and scouts alike. The explosive, Russell Westbrook-esque point guard leads the 12th-seeded Murray State Racers, who look like a possible giant killer in this side of the bracket. Morant is putting up staggering numbers, with averages of 24.6 PPG, 5.5 RPG and 10.0 APG, while shooting 50% from the field. He is the unquestioned leader of an explosive Murray State offense that is extremely efficient, hitting 100 or more points five separate times on the year. This Racers team also gets a very favorable draw, with fifth-seeded Marquette trending down. The Golden Eagles have lost five of six entering March Madness, and has really struggled defensively. This really looks like it has a chance to be a 5-12 upset, but even if it isn't, it will be worth tuning in to. Morant and Marquette guard Markus Howard are two of the best players in the entire nation, and can absolutely take over games at times. Watching those two duel it out in Hartford will be as good of TV as we'll get in what should be an exciting first round. Sitting at a four seed in this field, Florida State looks like the best bet to come out of the West for any team not named Gonzaga. The Seminoles started off ACC play 1-4, but have been one of the best teams in the country down the stretch. They ended up winning 12 of their last 13 in regular season league play, with the lone exception being a loss on the road against North Carolina. Yet, they didn't get much attention behind the three eventual 1 seeds in the ACC, which makes them somewhat of a dark horse entering the Big Dance. The Seminoles don't play a necessarily pretty brand of basketball, but they don't need to. They have great size up and down their roster, play sound defense and are one of the deepest teams in all of college basketball, with the option to go ten deep if they have to. Now, its important to also realize they just happened to get an incredibly tough draw with the 13th-seeded Vermont Catamounts. Vermont, who won the America East Conference, is a strong, well-built basketball team that will be a stiff challenge in the first round. Florida State also is incredibly streaky; when they're shooting the ball well from deep they can legitimately beat anybody in the country but the moment they turn cold this team becomes a much different basketball team. All in all, use caution when picking this Florida State team. They certainly have the potential to go deep, but they also have the potential to drop their opener. This is the type of boom-or-bust team that is going to cause some real chaos in this side of the bracket. At 19-15 and an eighth place regular season finish in the SEC, Florida doesn't exactly have a resume that inspires much confidence. Yet, sitting at a 10 seed this Gators team does look like they could be a team ready to make some noise. They've ended the year on a little bit of a run, upsetting the top seed in the SEC Tournament, LSU, in the quarterfinals before giving eventual champ Auburn all they could handle a game later. Florida also does get an extremely favorable bye, getting Nevada in their first round matchup. Nevada did return a ton of production from last year's Sweet 16 squad, but they have been trending down, unable to get past the other top teams in the Mountain West like San Diego State and Utah State. Nevada all in all owns just one non-conference victory over a team that is in the Field of 68 (11th seed Arizona State) and could struggle to put up points against a quality Gators' defense. If UF is able to find a way to get past the Wolf Pack in Round One, they present a unique challenge for No. 2 seed Michigan, who shouldn't have too much trouble with Montana. The Wolverines have been streaky offensively for much of the season, and Florida could again have the defense needed to stop them. 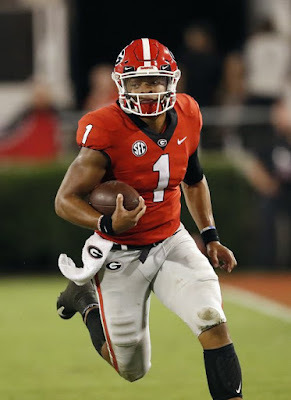 The Gators might not have the flashy look of a team ready to make a run, but they are in a nice position to make some noise in the bottom portion of this region. After an incredibly hot start to this season, which included a 17-0 start and wins against Villanova, UNC and Purdue, Michigan fell back to Earth a little bit in Big Ten play. Of course, a 15-5 record in the ultra-competitive Big Ten is nothing to feel bad about, and the Wolverines still did enough to lock in a two seed. They enter this Tournament as another team that has some serious boom-or-bust potential. They have a number of offensive weapons, ranging from big man Ignas Brazdeikis to exciting wings Charles Matthews and Jordan Poole, the hero of last year's NCAA Tournament. Yet, there offensive numbers aren't overwhelming this season and good defenses have proven they can stop them, such as Wisconsin or Michigan State. The Wolverines will be able to counter with their own defense, which has been dominant at times itself, allowing just over 58 PPG (currently second in the entire country). Michigan also has the advantage of experience, with a big chunk of last year's group returning after playing for a National Title. Plus, head coach John Beilein has proven himself time and time again in March, and I think he may actually be a little bit underrated at this point in his career. This Wolverines team certainly has the tools to go deep, but they are in a tough region and have some issues that could hold them back. I'm picking them to go to the Sweet 16, but it wouldn't be shocking if they over-perform or seriously underperform that target. 1 Gonzaga over 16 Prairie View A&M (First Four winner) ... Gonzaga gains some valuable momentum by taking apart the SWAC Champion Prairie View A&M Panthers. 8 Syracuse over 9 Baylor ... Does this Syracuse team have another Tournament run in them? Their patented 2-3 zone and dynamic guards will be a tough matchup for anybody in the field. 12 Murray State over 5 Marquette ... This game should be thrilling, and will keep the scoreboard operators busy. I like Ja Morant to keep his college career alive by taking down the cold Golden Eagles. 4 Florida State over 13 Vermont ... Possible upset alert definitely, but Florida State's depth puts them over the edge here. 6 Buffalo over 11 Arizona State (First Four winner) ... Bobby Hurley at Arizona State will be eager to beat his old team, but this Buffalo squad has all the tools to survive. 3 Texas Tech over 14 Northern Kentucky ... This Texas Tech squad is legit, and their suffocating defense will fluster the Horizon League Champ. 10 Florida over 7 Nevada ... Nevada does have a lot of talent and experience, but the Gators are trending up at the right time. 2 Michigan over 15 Montana ... 15th seed Montana is no joke, but Michigan's size and shooting should put them over the top in this one. 1 Gonzaga over 8 Syracuse ... This is going to be a tough game for Gonzaga, but Zach Norvell and Josh Perkins should be able to outshoot Syracuse's zone. 4 Florida State over 12 Murray State ... Morant and Murray State will keep things close, but they don't have the size to compete with this FSU team for 40 minutes. 3 Texas Tech over 6 Buffalo ... The Bulls have been able to beat strong defenses all season long, but the Red Raiders are still strong enough on that end to win the game. 2 Michigan over 10 Florida ... Gators offer an interesting challenge to the two seed, but don't have the shooting to down Michigan in Des Moines. 1 Gonzaga over 4 Florida State ... Gonzaga will be eager to avenge last year's second round loss, but must stay out of foul trouble in the post. 3 Texas Tech over 2 Michigan ... Two of the best defenses in the nation squaring off will make for a tough, physical game. Texas Tech finds a way to come out with the victory here. 1 Gonzaga over 3 Texas Tech ... 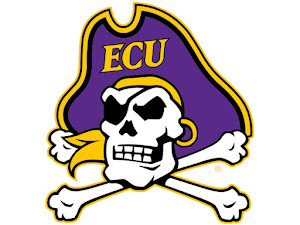 I love this TTU squad, but no team that lost their first game in their conference tournament has ever made the Final Four. Not sure if the Red Raiders can be the one to buck this trend.